Sipadan Island's lesser known cousin, Mabul Island is fast gaining a reputation among divers as the perfect place for a popular diving trend, muck diving. A small island off the south eastern coast of Sabah in the Celebes Sea, Mabul Island is a mere 30 minute boatride from the world famous Sipadan Island. 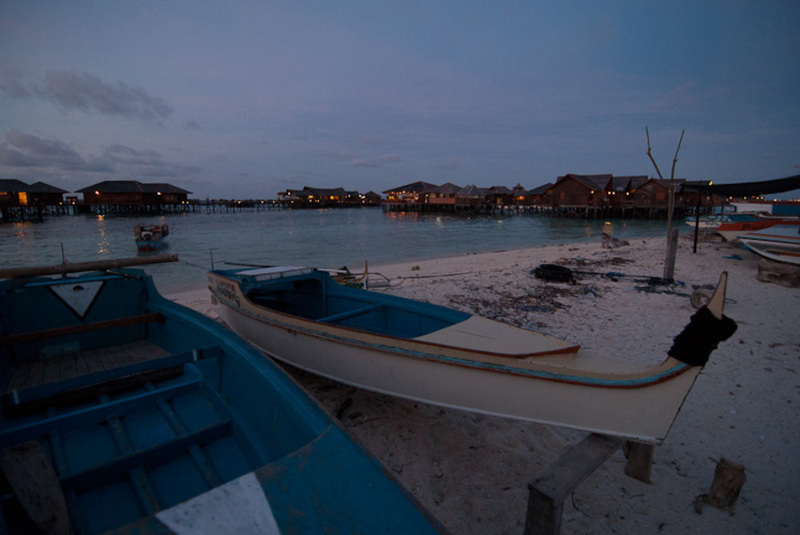 Mabul Island has traditionally played second fiddle, and its initial claim to fame was its close proximity to Sipadan Island. 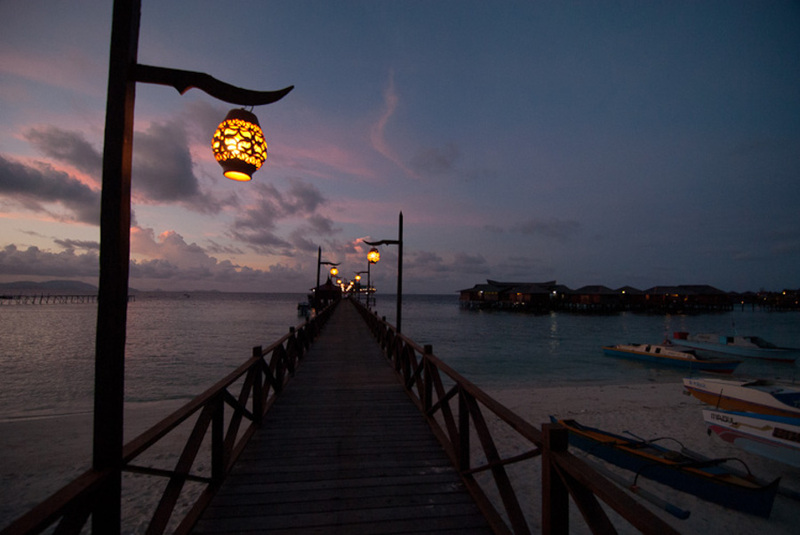 Any visitor to Mabul Island, however, should know that this little island has its own treasures to offer. The island itself is surrounded by several coral reefs, which has unfortunately, suffered as a consequence of dynamite fishing in region in the past. The resulting carpet of sediment from the destroyed reefs settled over vast areas in the waters surrounding the island, becoming the perfect habitat for entire ecosystems of microscopic marine life to thrive. These sandy areas are popular among underwater macro photographers who indulge in dives in murky waters containing a lot of microscopic marine life. 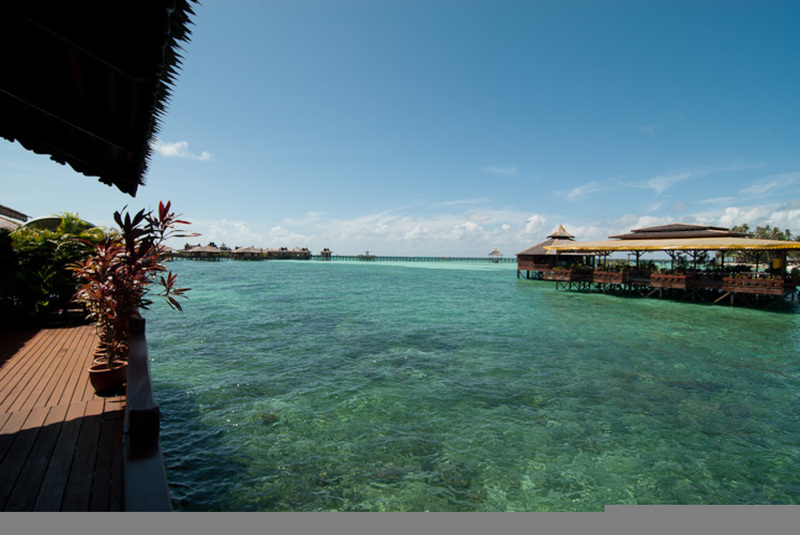 These dives, known as muck dives, have become a main attraction for Mabul Island and many dive operators offer superb packages centered around it. These dives often turn into marine safaris, with experienced divemasters eagerly pointing out various marine life hidden in the shallow sandy bottom throughout the dives. 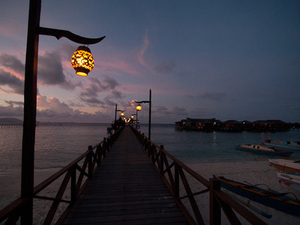 Diving at Mabul Island as well as the nearby islands, including Sipadan, can be enjoyed throughout the year as the region is not affected by the annual monsoon rains, unlike the islands off the east coast of Peninsular Malaysia. 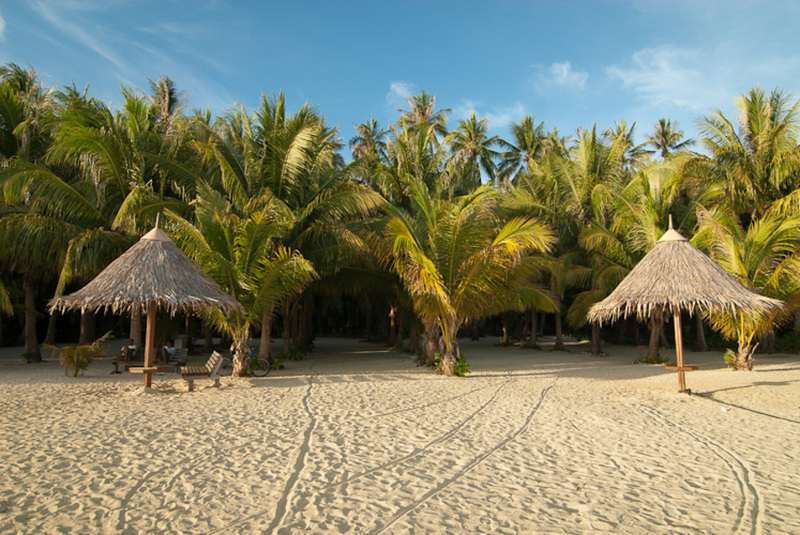 Unlike Sipadan Island, Mabul Island offers accommodation on the island itself and houses several luxurious resorts that cater to the dive scene along with several budget outfits. 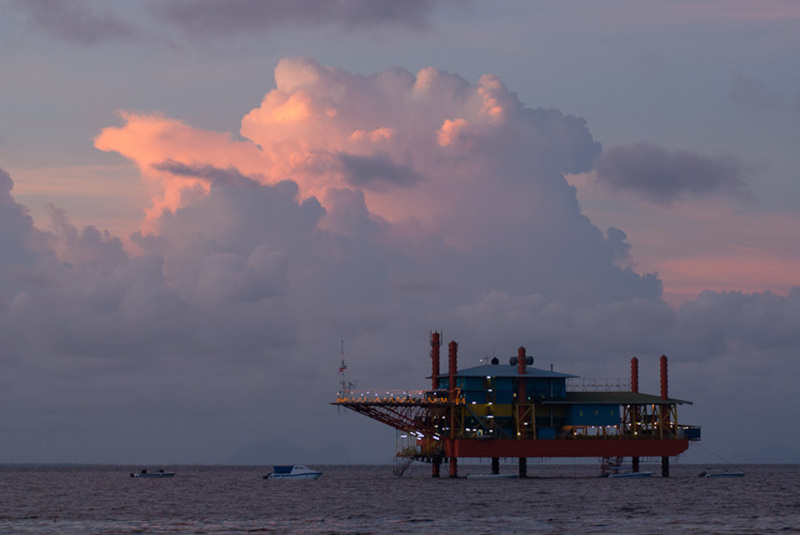 A rather unusual but interesting form of accommodation is the dive resort housed in a converted oil rig just a few hundred metres from the island's shore. 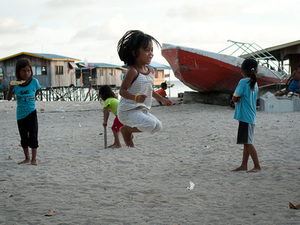 Considering its small size, Mabul Island hosts a sizeable local population, mostly Bajau fishermen or sea gypsies. 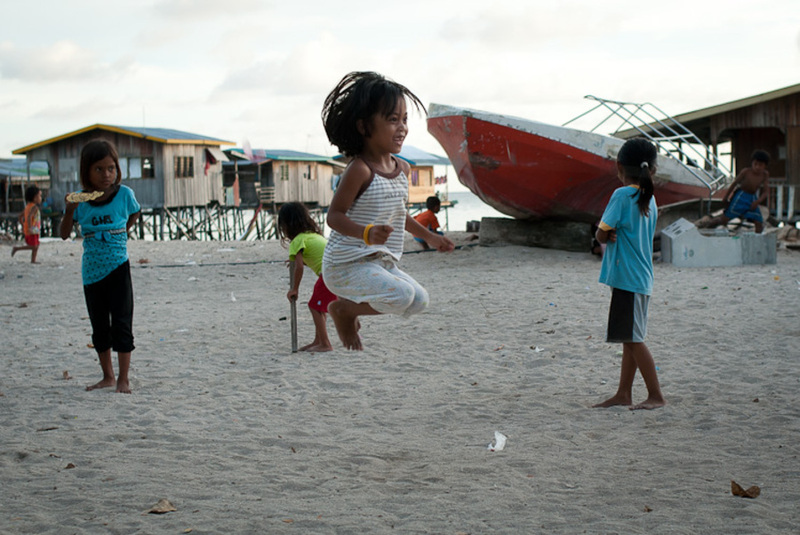 The Bajau's ancestral ties to the sea is evident in their way of life, and their village spreads from the island's shores into the sea, with countless wooden stilt houses built on top of the coral reefs and sand banks that surround the island. 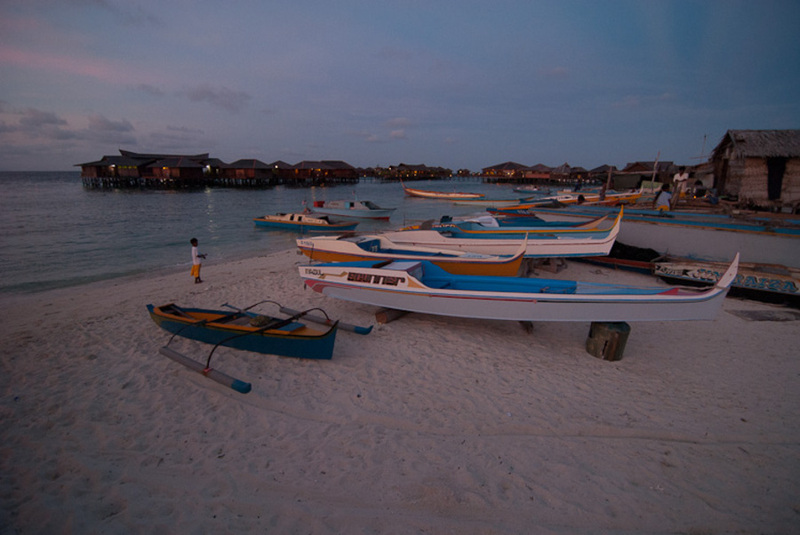 The fishermen maintain a simple village lifestyle, supplementing it by selling their catch to the resorts on the island. A stroll through the village is recommended to all who visit this beautiful island, and many tourists can be spotted wandering around the village taking pictures at any given day. Mabul Island is located off the coast of Sabah and is accessible only by boat, usually from Semporna, which is an hour and half's drive from Tawau. Boat rides from Semporna to the island take around 45 minutes to an hour depending on the condition of the sea. Please note that there are no boats going to the island at night. Transport to the island is usually included in the various dive packages offered by tour operators.